A few years ago I first built and released Jirasearch as a fun dog-food test case for the thin-wrapper Lucene server, to expose a powerful search UI over our Jira issues. Faceting, with flat, hierarchical, and dynamic numeric range fields. Remember you can pick multiple facet values (multi-select) with shift+click! Curiously, spell correction, or even fuzzy infix suggestions, is still missing (pull requests welcome!). Since the initial release of Jirasearch it has seen substantial usage and interest from users and developers. Building this and keeping it running all this time has been an awesome and humbling exercise for me because I get to experience life as a "production" user of our software. At the same time, we all get a nice search UI for finding issues. For the past week or so I had another similarly humbling experience, this time upgrading Jirasearch from the very-old Lucene 4.6.x release, to the latest 6.x release. Small (yet vital!) things changed, such as the new requirement to use a special index searcher with ToParentBlockJoinQuery, which conflicts with how you must use DrillSideways. I hit this bug in the infix suggester. Something changed about pure negative boolean queries, but I am still not sure what (I have worked around it for now)! I had already previously upgraded Lucene server to dimensional points so I got that "for free" for the existing numeric fields in Jirasearch. cutting@apache.org is finally presented as Doug Cutting! Plus, the auto-suggest now works if you type "Doug". The new Updated ago facet dimension lets you drill down to issues that have not been updated for some time. The new Last comment user facet dimension is the user who last commented on an issue. The new Committed by facet dimension lets you drill down to those issues a given developer has committed changes for. The Committed paths hierarchical facet dimension, letting you find issues according to which paths in the source tree were changed for that issue, was broken since we switched from Subversion to Git. The Infrastructure project issues are now included as well. The new facet fields are especially fun: you can now find issues that you perhaps killed, by drilling down on Updated ago > 1 month ago and Last comment user = you (this was the use case suggested by Alexandre). Another fun one is to see issues a given developer committed (Committed by) to an unusual part of the source tree (Committed paths), e.g. the issues where I committed changes to Solr for a Lucene Jira issue. With this update I am also making all the sources behind jirasearch open-source under the Apache 2 license, in the examples/jirasearch sub-directory of the luceneserver github project. 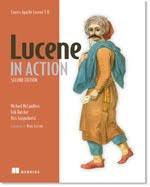 While Luceneserver itself is entirely Java, the sources for the Jirasearch application, to extract details of all issues from the Apache Jira instance, to convert those documents into Lucene server documents, to do a full and near-real-time indexing, building suggestest, and the search UI, are entirely Python. Please note the Python sources are not particularly pretty. Yet, they are functional, and as always: patches welcome! It's likely I broke things during this upgrade process; please let me know (add a comment here, or shoot me an email) if so.